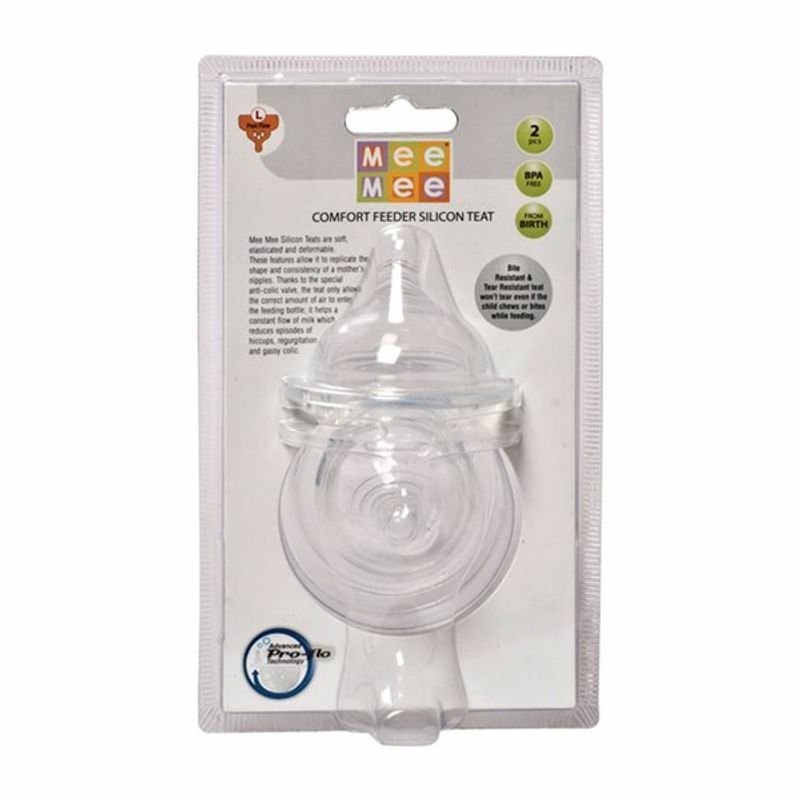 Mee Mee Baby Large Size Pro-Flow Technology Silicone Teat is carefully made to the highest safety standards. It has a unique anti-colic valve designed to help reduce colic symptoms. 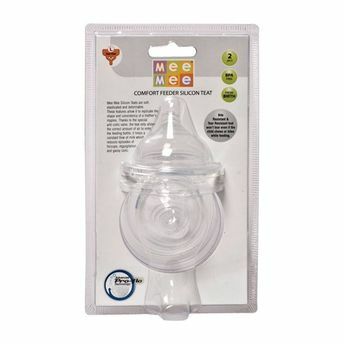 Anti-Colic valve permits only the right amount of air to enter the feeding bottle.